OMG my twitter account is suspended, what do I do?!?! Relax, I’ll take you through the simplest fix. perhaps you were following too aggressively or you were reported or you made rude comments. You were never warned though and all of a sudden, BOOM! suspended. Before you panic and start firing in tickets and begging to be reinstated–before you start complaining and cursing, here is the ultimate life hack to get your twitter account back. That’s it. If you put in a ticket right away, you might get an email from twitter saying your account is not suspended, but it really is. If you wait 24 hours, twitter will go through the process of sorting your account. 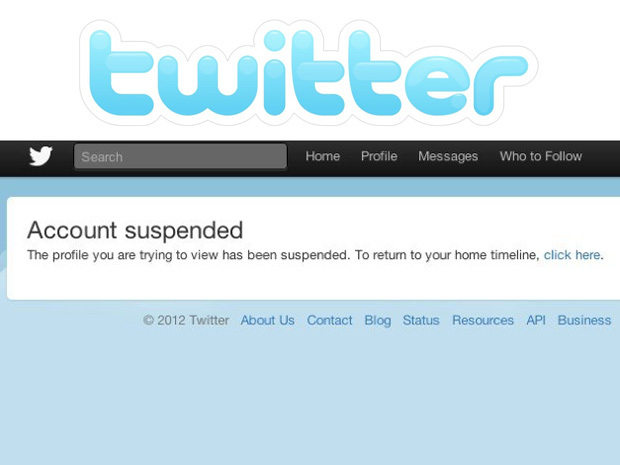 Where it says you are suspended, click the link. That’s it, wait 24 hours. Be patient. I know first hand as my account has been suspended twice.